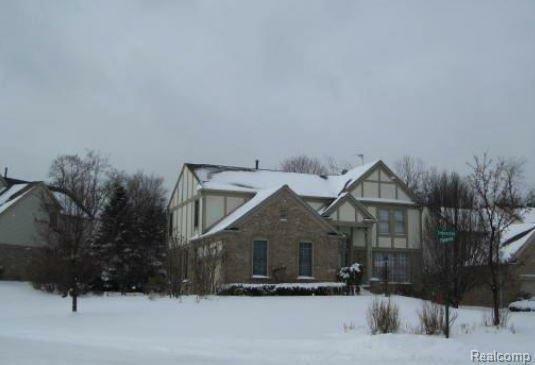 *Back on Market - Buyers chose a different area - Not inspection related ---- This Large Contemporary West Bloomfield Home is just waiting for your personal touches! Peaceful, park-like setting with desirable corner lot. 4 bedrooms, with possible 5th or office in finished basement. Basement has wet bar and full bath. Large master suite w/separate garden tub and shower, double sinks, walk-in closet. Perennial landscaping with sprinkler system. Great Room with natural fireplace, gorgeous views from windows! Nice eat-in kitchen with newer appliances, granite counters, filled with natural light, leads to back deck. Formal dining off kitchen. Open freshly painted foyer with oak floors. Newer furnace, HWH, windows. Newer Washer/Dryer in 2nd floor laundry, conveniently located near bedrooms. This home has tons of storage throughout. W Bloomfield Schools. Come make this home your own! 1-year Home Warranty Included!